Looking at the gleaming Hudson Yards towers punching holes in the clouds over Manhattan’s West Side at W. 34th St. and 10th Avenue, members of New York City’s unionized Building Trades see their hold on the American Dream hanging in the balance. The 36-year-old Long Island City resident has been on the job at Hudson Yards installing bulk piping and fire protection since 2014 — long enough to see those sparkling towers emerge. 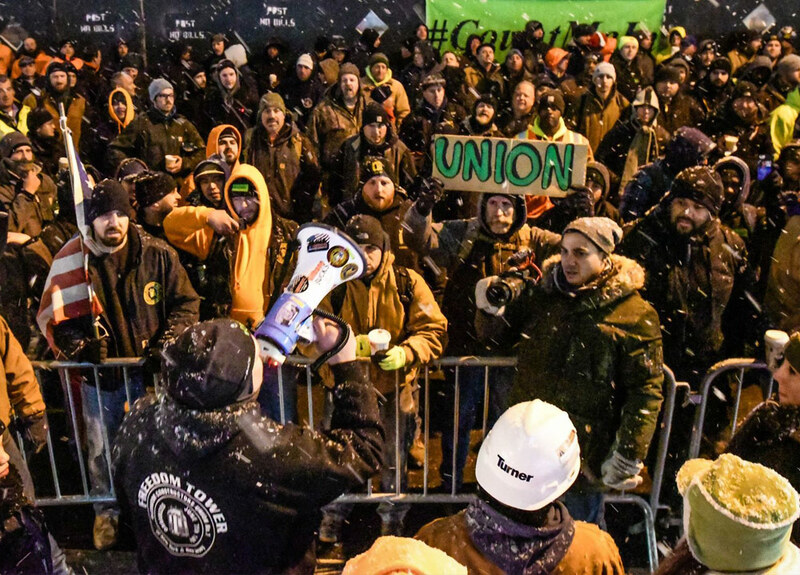 But as the massive Hudson Yards Project — the largest private real estate development in United States history — enters Phase II, Hunt finds his future on the project, and the combined futures of his union brothers and sisters in the Building Trades, under threat. Related Companies, the real estate development giant with a reported $50 billion in worldwide assets, has soured on the Project Labor Agreement it originally entered into with the Building & Construction Trades Council of Greater New York (BCTC) covering Phase I of the development. Earlier this month, Hudson Yard Construction, LLC, went further , filing suit against the BCTC and its president, Gary LaBarbera, alleging a raft of corruption charges that also happen to perfectly mimic other well-worn attempts to malign the Labor Movement throughout history. Unionized members of the Building Trades who have been rallying outside the Hudson Yards development on Tuesday afternoons and Thursday mornings as part of the #CountMeIn campaign, view Related’s actions as a naked attempt to build on the cheap utilizing a so-called “open shop” construction model that actually undermines good middle-class jobs and creates a race to the bottom that benefits no one but deep-pocketed developers. Despite the anger and frustration aimed at Related and its push for junk jobs that shortchange workers doing incredibly difficult and dangerous work, both Baez and Hunt expressed sympathy for poorly compensated non-union construction workers trying to scratch out a living within the so-called “open shop” system. Baez said that his 16-years with the union has afforded him opportunities he never would have had as a non-union construction worker. “Most non-union guys don’t know the importance of being a union member and putting money away for your future,” he said. Indeed, the Economic Policy Institute [EPI] finds that, on average, union workers across different sectors earn over 13.2 percent more than their non-union counterparts — and that the decline of union density actually lowers wages for all non-union workers as well. Erhan, a 28-year-old striking Charter/Spectrum worker who, along with two other striking co-workers, came out to this week’s #CountMeIn rally at W.34th Street and 10th Avenue in support of their union brothers and sisters in the Building Trades, took aim at the obscene compensation packages corporate heads including Charter/Spectrum CEO Tom Rutledge and Related Companies Founder Stephen Ross command. Just last year alone, union-busting Tom Rutledge raked in a reported $98 million, while Ross — who also owns the Miami Dolphins — is reportedly worth $7.6 billion. 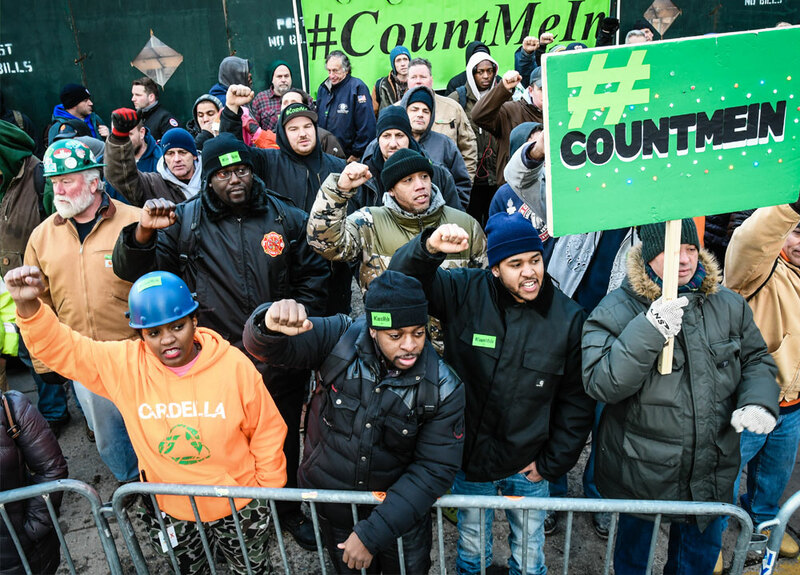 Hunt said that he has faith the Hudson Yards’ #CountMeIn campaign and the battle for good middle class jobs that enable workers to afford a home and provide for their families, will ultimately succeed. This article was originally published on Labor Press. A prevailing wage has come under attack from advocates looking for something cheaper. And it’s shameful! This is New York. We don’t do “race to the bottom” here. We don’t invite in bottom-fishers and corner-cutters to build our buildings. And we don’t scapegoat workers. That’s because we need the best. So we build the best. As a Commercial Observer reader, the same goes for you, too. You don’t “race to the bottom” when it comes to staffing up your brokerage, your development company, or your investment firm. Yet in the world of public-sector construction, prevailing wage laws have again come under attack from advocates of bottom fishing. But prevailing wage laws are not just good for construction workers and the agencies undertaking public projects. These laws are also good for all New Yorkers. For more than a century, New York State has maintained an important and progressive social compact: fair wages for fair work. The pay of workers engaged in public projects must align with local prevailing wage and benefit levels. Hard-working New Yorkers thus have access to good-paying jobs and proper protection from unsafe working conditions. And with the State’s FY 2018 capital budget exceeding $14 billion, it’s critical to shake off faulty assumptions—and recognize that prevailing wage requirements also save taxpayers money. New data now show how these rules ensure effective cost management on public projects. The Economic Policy Institute, a nonprofit, nonpartisan think tank, recently completed a thorough cost-benefit analysis based upon independent, peer-reviewed research. It examined the work of academic economists nationwide who specialize in assessing the impact of prevailing wage laws. The analysis concluded that the policy carries little or no added burden for taxpayers. In fact, such laws increase tax revenues since better-paid construction workers pay more in sales and income taxes. Similarly, in 2016, the Illinois Economic Policy Institute analyzed peer-reviewed studies nationwide. Seventy-five percent of them found that prevailing wages had “no statistically significant impact” on public costs. And lower costs per hour for each worker doesn’t automatically lower project costs. This is a logical fallacy, because project costs decline by hiring more-efficient, higher-pay workers. Such workers possess the skills to work faster—and their superior commitment to the job reduces turnover. Plus, more productive workers are efficient because they’re more likely to possess the skills and sophistication to work with first-class equipment and technologies. This high-wage, high-skill approach is a common workforce management strategy called “efficiency wages.” It minimizes project cost through superior efficiency and is a basic management concept listed on the syllabus of labor economics courses nationwide. Indeed, high-paying contractors often place bids on public projects that are not only comparable to bids placed by the bottom fishers, but are even more competitive than the lower-paying alternative. These policies also protect worker health and safety. Construction work is dangerous: the U.S. Bureau of Labor Statistics found that in 2016, construction-related professions represented three of the 10 job categories with the highest fatality rate. On worksites with prevailing wage, workers’ compensation costs are lower and construction injuries are fewer. The policy weeds out unscrupulous and unfit contractors willing to skirt safety laws and expose low-wage workers to unsafe conditions. Prevailing wages boost living standards, increase in-state hiring, and help many non-college graduates attain middle-class status. These policies help uplift communities—while imposing minimal, if any, cost on taxpayers. These rules also ease pressure on America’s social safety net. One analysis found that states with no or weak prevailing wage laws spend $360 million more per year on food stamps and Earned Income Tax Credits for their blue-collar construction workers than states with average or strong prevailing wage laws. Similarly, construction workers in states with strong or average prevailing wage laws contribute more than $5.3 billion more annually in net federal income taxes than their counterparts in states with weak or no prevailing wage laws. Prevailing wage policies enjoy support nationwide. In February 2017, a survey of 1,000 U.S. voters by Anzalone Liszt Grove Research found that 77 percent supported retention of prevailing wage legislation, while only 23 percent supported its elimination. Gary LaBarbera is the president of the Building & Construction Trades Council of Greater New York. This article was originally published in the Commercial Observer. In the One Wall campaign, the unions combined mass lunchtime and after-work rallies with pressure on the project’s lenders, including Deutsche Bank. This article was originally posted on Labor Notes. 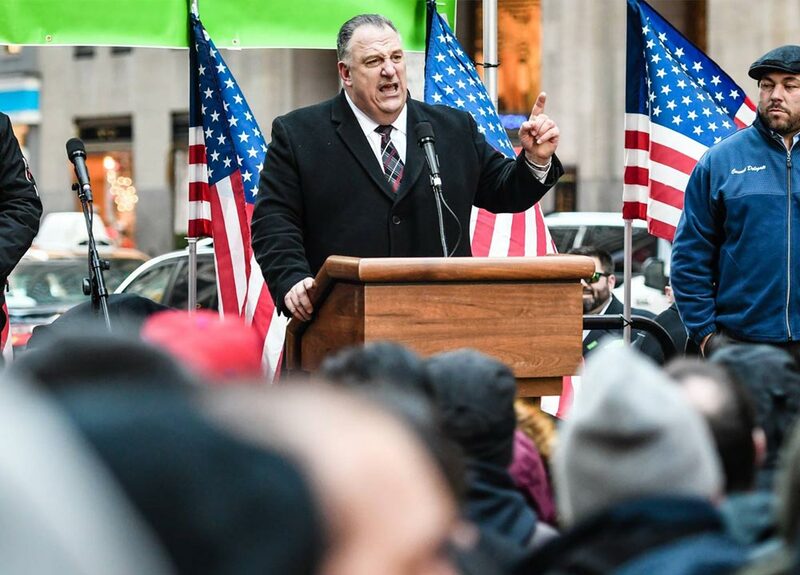 Union members disrupted Related’s efforts to hand out thousands of free Thanksgiving turkeys to workers at Hudson Yards November 20, spreading the message to refuse the birds via leaflets, social media, and word of mouth. 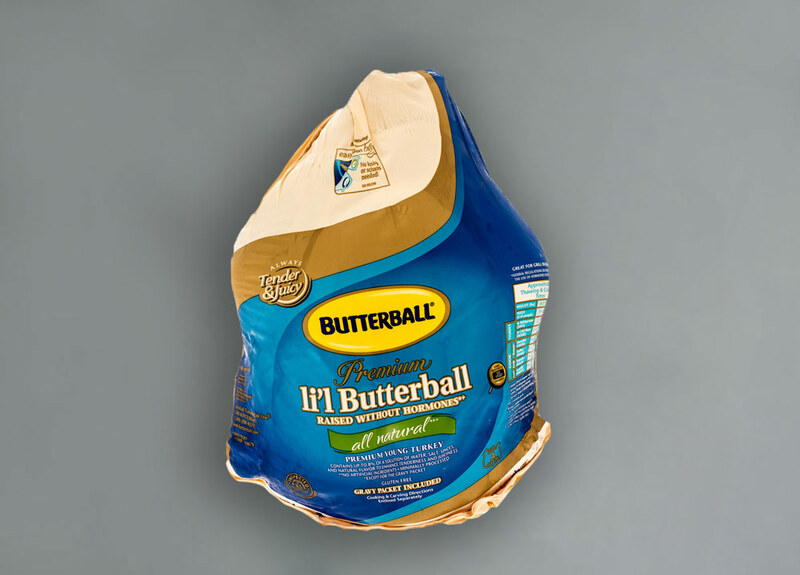 We said, “These guys are trying to give you a turkey like you’re part of the family—but they’re trying to take your wages and benefits and leave you out of the next job,” said Brian Houser, a third-year apprentice with Elevator Constructors Local 1.